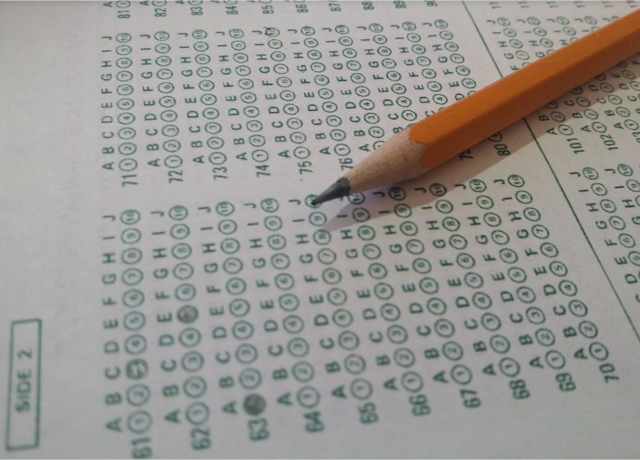 Home / Blog / Colleges / How Many Times Should You Take The GRE And When Should You Start? If you’re wondering when you should begin preparing for the GRE, know that it’s never too soon to start. Familiarizing yourself with the format and content of the exam can alleviate test anxiety and empower you to attain a higher score. As such, it’s a good idea to get started immediately. Luckily, there are a wide range of learning resources at your disposal. For example, companies like ETS, Barron, Peterson’s and Kaplan provide a wide range of test prep material you can use to study for the Verbal, Math, and Written components of the exam. Taking online courses in the fields of English, Math, and Writing is another technique you can implement to prepare for the exam. If you’ve already obtained your bachelor’s in English, you may want to consider completing an online masters computer science program. This can make you a more competitive candidate for a grad school program while also sharpening your reasoning skills. How Many Times Should You Take The GRE? You can take the computer-based test once every 21 days. You may take the GRE up to five times within one year. If you cancel your GRE scores, the test that you took still counts towards the five annual test dates. There are several reasons why an individual might want to take the GRE again or several times. Generally, the reason pertains to the score. In some cases, an individual might not have had sufficient time to prepare for the exam. When this happens, a substandard score may be the unwanted outcome. If you know that the score you’ve obtained is below the average score that individuals admitted into the learning institution attained, it’s definitely a good idea to retake the exam. Keep in mind that you can take the GRE as many times as you want and submit your highest scores to the college in question. However, if you’re taking the test over and over to try to attain a perfect score, keep in mind that the GRE is not the only component of your application process. You’ll also want to concentrate on other critical elements like your letters of recommendation, statement of purpose, curriculum vitae, writing sample, etc. If you’re serious about acing the GRE so that you can get into your dream school, now is the time to start studying. Review the information and instructions found in this quick reference guide to get on the path to an excellent score today!